We are a company committed to the electricity energy generation business. 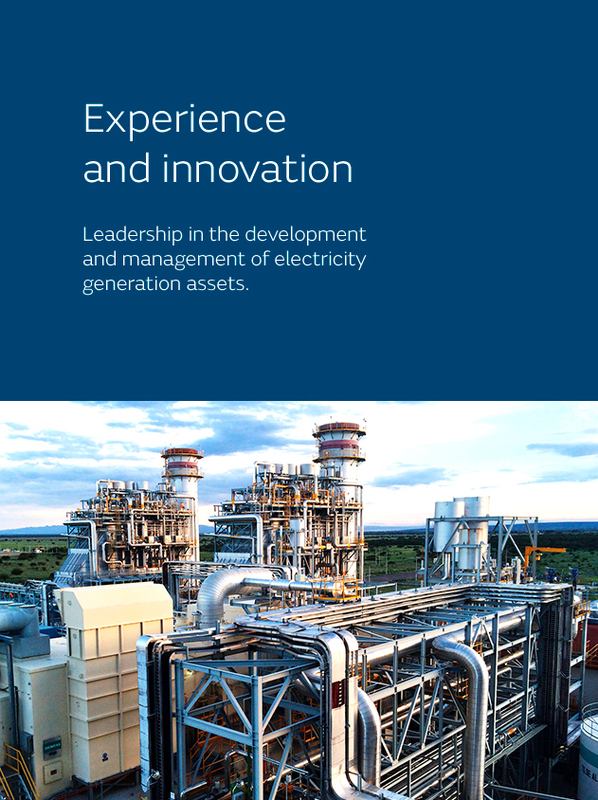 We develop and manage power generation assets with a global focus by using hydro, wind, and fossil fuel technologies in which our experience guarantees success. We also offer our expertise to clients by providing engineering and operation and maintenance services for their facilities. Global Power Generation (GPG) was set up by Gas Natural Fenosa and KIA (through its subsidiary Wren House Infrastructure) as a vehicle to channel its international power generation activity, one of the main growth vectors identified by the group. The fact we belong to Gas Natural Fenosa, a pioneering multinational group in gas and electricity integrationoperating in more than 30 countries and with over 23 million customers, gives us the strength and confidence of a large energy group and the benefits to be gained from its experience, position and high performance standards. We are backed by the more than 1,000 projects we have developed in almost 50 countries and our best resource is the experience and know-how of our team. We bring an owner-orientated approach to each of our projects and primarily focus on long-term projects. We are a company dedicated to the environment, health, safety and the community.